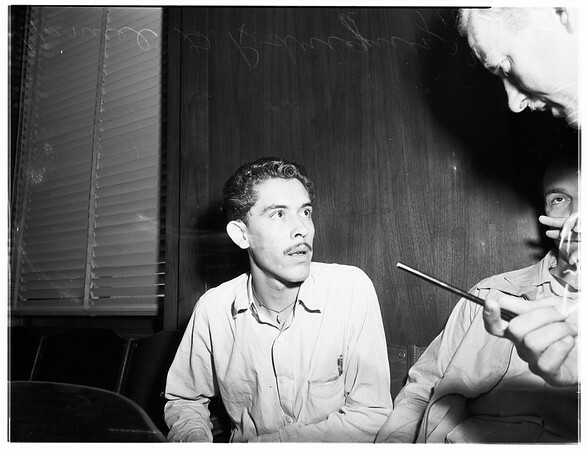 Rodriguez drunk driving preliminary, 1951. 2 images. Rodriguez drunk driving preliminary, 03 October 1951. Manuel G. Rodriguez -- 21 years (Felony Drunk Driving).